Click here to download a printer friendly version of this article. ... and your message will be received – loud and clear! All the above are the symptoms, not the problems with email. Here are some of the main problems. That’s crazy – I’m not a salesperson – never have been, and never will be. Well, I say to all of you (in the nicest possible way) – you just don’t have a choice any more! The main issue is that 75% of readers only scan documents – they don’t read them from beginning to end. And this makes the probability of miscommunication enormous, and the price of this miscommunication can run into millions of dollars. So how can you get the reader to receive your message – loud and clear? The best salespeople always keep their marketing and sales material short to avoid boring their readers. I know that keeping email messages short is not easy. If possible, divide and conquer. If your email contains two or more main messages, send more than one email, and the possibility of the reader missing or misunderstanding your main point will be greatly reduced. Use the email to sell an attachment, but be sure to make the email short. Provide a brief introduction to each issue covered in the attachment, introduce it, and include the one or two most important issues from the reader’s perspective that is covered in the attachment. Make the email message about the reader. Why is this issue important to the reader? Specifically, how will the reader benefit personally? Avoid making general comments about the benefits. Write about their issues, complaints or problems, not only about the solutions. This is how you bring in the emotion salespeople talk about. Consider an example introduction that outlines three messages to be addressed in the email. Below, I have confirmed details about our consulting services, highlighted the information I need you to send before installation, and provided a consulting suggestion you may want to consider. Write headings that reflect the purpose of the email. Use words that describe your purpose like request and update. If you need information urgently, put in the time it’s needed. I wish I could count the number of times I’ve heard, “I’ve sent the message - and I have the evidence to prove it!” People even try and convince me that it’s okay to use aggressive language and symbols to help get the message across. It is never appropriate to do that. The issue here isn’t that you can prove that you’ve sent the message. The issue is how you can ensure you get the message across and that you receive the response you need. Just because you sent the message, doesn’t mean that you have relinquished all responsibility. To ensure you do your job productively, you need to follow through to completion. You can’t relinquish all responsibility. To ensure you do your job, you need to follow through to completion. 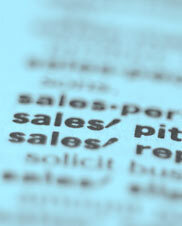 Write EVERY email as a sales pitch … and your message will be received - loud and clear! Since the advent of electornic mail, we are writing four to five times more than ever before. Workers who have never had to write find it is an important part of their job. Consider making all email messages (even purely informational ones) polite requests that require some kind of action from the reader.